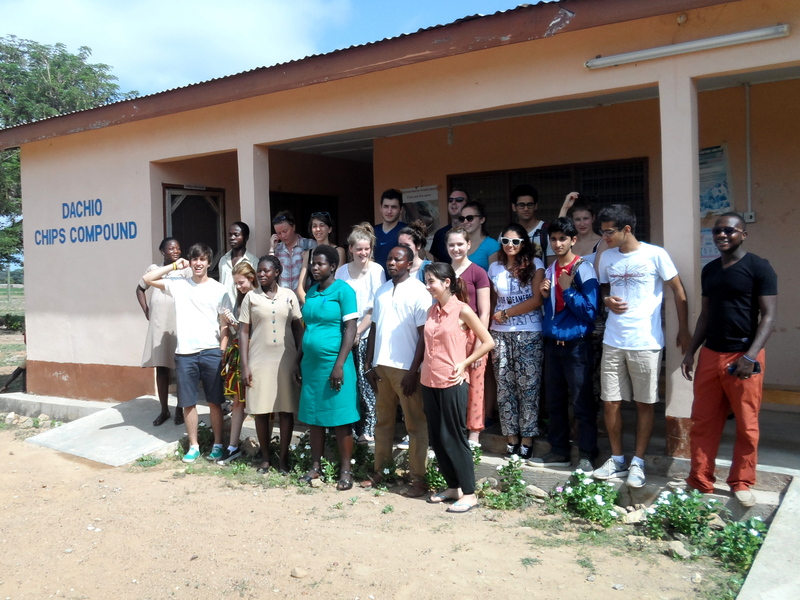 In the past month, students and staff representing the British School of Brussels (BSB) and the Best of Both (BoB) non-governmental organisation run by students at BSB visited Trax Ghana. In cooperation with Trax they support four schools in Upper East Region with the aim of improving the state of the educational status of rural communities. Within two weeks the team interacted with pupils and staff of Dachio and Gare-Gbani primary school. Upper primary to both schools were taught information and communication technology (ICT) and basic measurements. Songs, games and story-telling were directed to the lower primary. 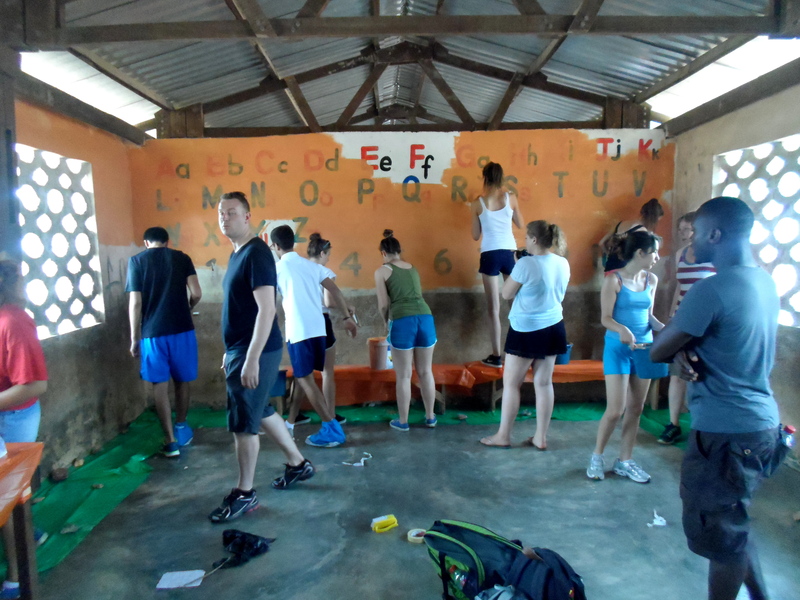 Notwithstanding, the team also washed and painted the walls of two classrooms of these schools. In addition, sports clothing, teaching and learning materials were donated to Dachio, Zuarungu Moshei, Dussi, and Gare-Gbani primary schools. In exchange for the lovely gesture from BSB/BoB representatives, the schools organized a culture display to showcase the beauty of their various communities. British School of Brussels students are shown how to prepare local dishes, and then got to try them! The team again donated some medical items to Dachio and Namoligo clinics to improve health case in the communities within the project zone. All these activities were achieved through the partnership between BSB/BoB and Trax Ghana. Trax really enjoyed their visit and being able to meet to students who are supporting our project from Belgium. We look forward to further cooperation with the BSB/BoB staff and students and hope they will visit us again! 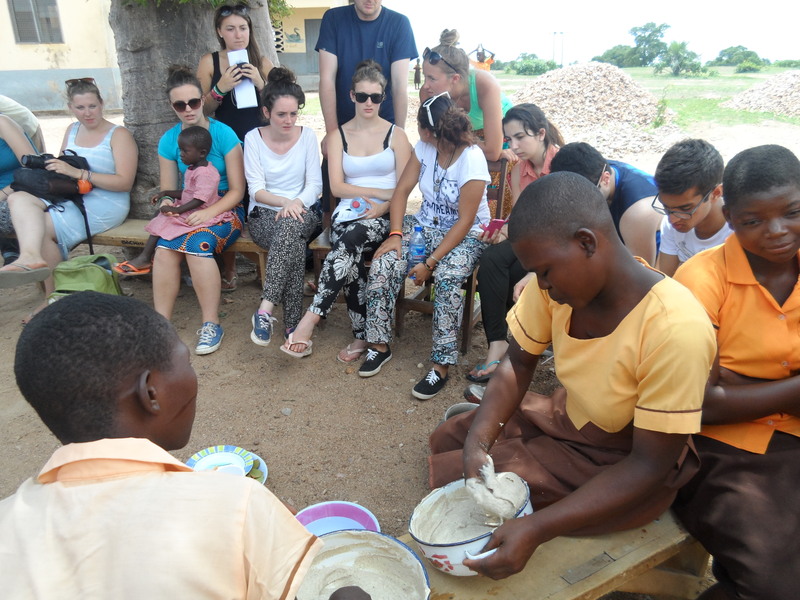 This entry was posted in Education, News Update and tagged Best of Both, British School of Brussels, donations, Northern Ghana, primary schools, student visit. Bookmark the permalink.